The Canada Revenue Agency has been ordered to pay the maximum compensation to a Hamilton woman who was sexually harassed by her boss after the federal labour board found the organization failed to take steps to prevent it from happening. 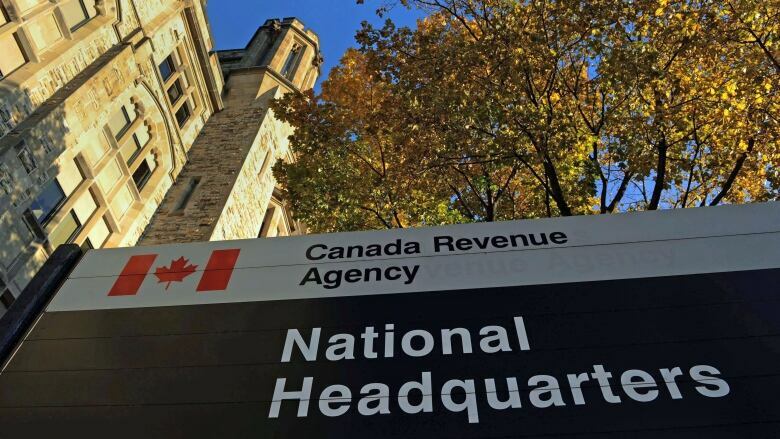 The Canada Revenue Agency has been ordered to pay the maximum compensation to a Hamilton employee who was sexually harassed by her boss after the federal labour board found the organization failed to take steps to prevent it from happening. A panel of the Federal Public Sector Labour Relations and Employment Board says the agency must pay Marilyn Doro $20,000 for the pain and suffering she experienced as a result of the harassment. The board says the organization must pay Doro another $20,000 for "the reckless manner in which it handled the initial investigation of her complaint." The agency must also reimburse Doro, who worked at its Hamilton office, for nearly $23,000 in out-of-pocket expenses related to her treatment. In a decision released earlier this year, the board says while the agency quickly launched an investigation in 2010 after Doro filed a sexual harassment complaint against her direct supervisor, Dominic D'Ippolito, it failed to provide a safe level of physical separation between the two. The board also found it "very problematic" that the CRA tried to send Doro to an office in another city in order to separate her from D'Ippolito, then moved her desk to another area against her wishes when she refused the switch. The burden to create a harassment-free workplace should not be on the person being harassed, the board said, noting the CRA's response exacerbated Doro's illness, causing her to be on sick leave for months. "Ms. Doro had done nothing wrong. At a time when she most needed the support of her colleagues and a safe and secure workplace, the CRA thought it might move her workplace to another city to solve its own problem," the board wrote in its ruling. "This was a shameful way to find an easy way out of a situation that demanded urgent attention and it added additional stress and harm to Ms. Doro." Instead, the organization should have confronted D'Ippolito with the evidence that was readily available within days of the complaint and, after allowing him to address the allegations, either placed him on administrative leave or taken other steps to protect Doro, it said. The harassment began shortly after D'Ippolito became the team leader of Doro's section, part of a "cadre of predominantly male managers" overseeing a team of mostly female employees, the decision reads. Doro experienced "almost daily unwanted attention while she was captive at her desk," the board said. On two occasions, D'Ippolito touched her while she was at her desk, with one of those incidents described as a back rub, it said. He also made and gave her two CD mix tapes of love songs and told her to listen to them only at home, it said. Over five months, he invited her to coffee or lunch, offered her rides home, embarrassed her by sending her chocolates in the office mail, sent her sexually themed emails to her personal email account, texted her outside work hours and made "disturbing" comments that suggested he was watching her home, the board said. Doro eventually reported the harassment, prompting management to intervene, it said. After presenting her with several options, including switching offices and working from home, management moved Doro's desk, it said. The harassment continued, however, as her new location was still visible from D'Ippolito's office, allowing him to leer at her as she walked by, the board said. Management also failed to press D'Ippolito on the content of the CDs or request a copy after he admitted to giving music to Doro and other staff, the board said. Had they done so, they would have discovered the recordings involved "When A Man Loves A Woman" and "Have I Told You Lately That I Love You," both by Rod Stewart, it said. The board also found the CRA had inadequate training on sexual harassment and presented no evidence that D'Ippolito had attended a training session. It recommended the agency consider a more comprehensive program to raise awareness of what sexual harassment is, how to identify it in the workplace and how to prevent or stop it, among other things. Two weeks after reporting the harassment to management, Doro filed a grievance. The investigation took about two years. D'Ippolito was moved out of her division and into another, and was disciplined with a six-day suspension without pay.